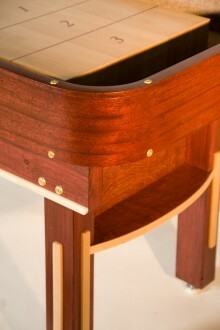 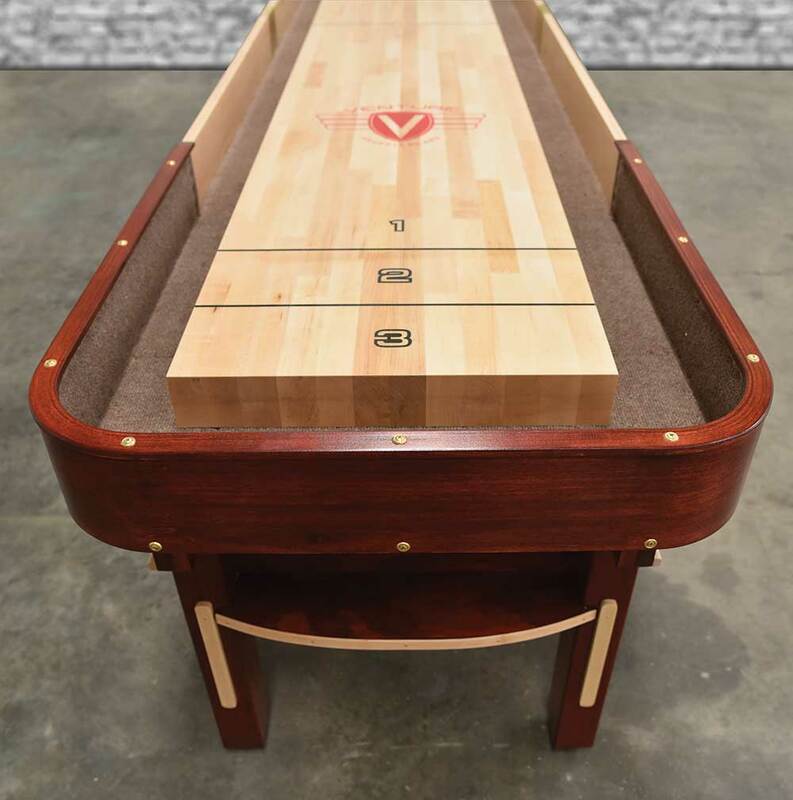 Pay tribute to the shuffleboard players of the past with Venture's US made, custom 14' Grand Deluxe shuffleboard table! 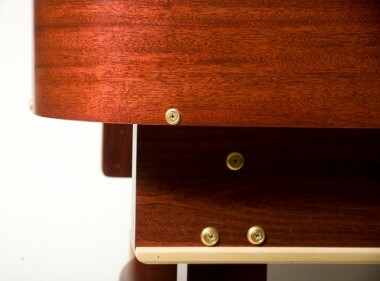 Crafted with the perfect proportions, the Grand Deluxe combines Venture's dedication to quality with 1930's style. 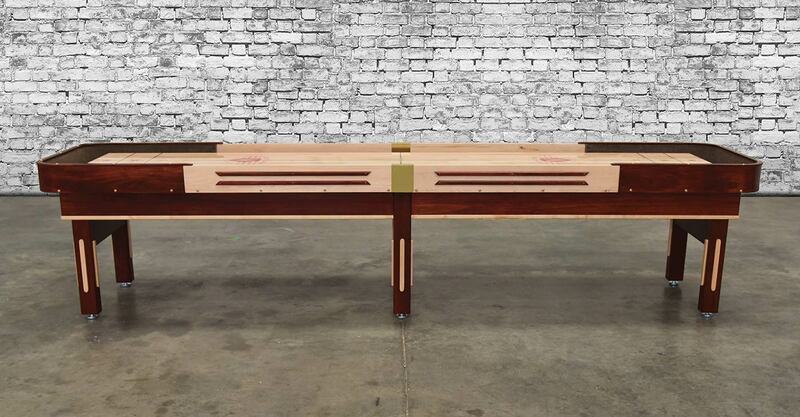 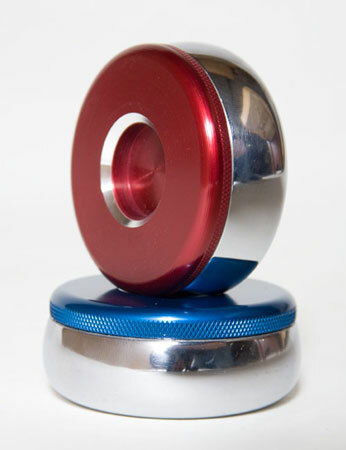 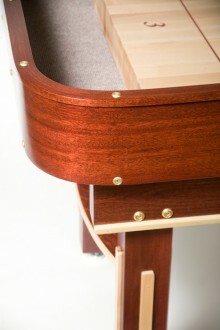 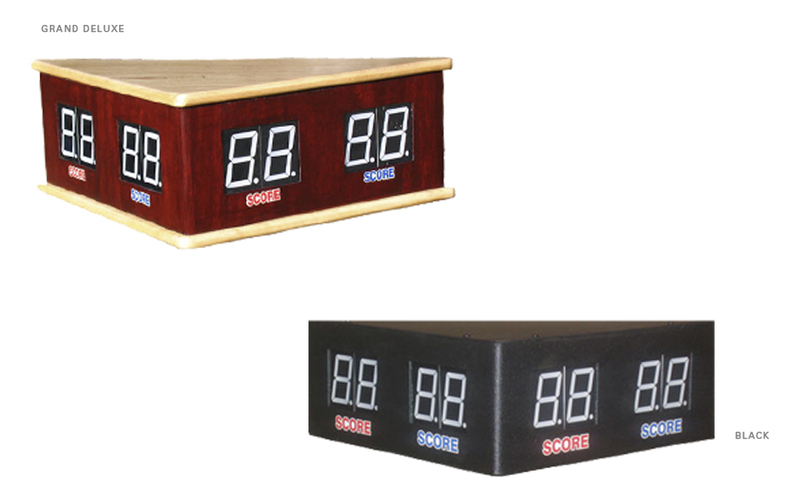 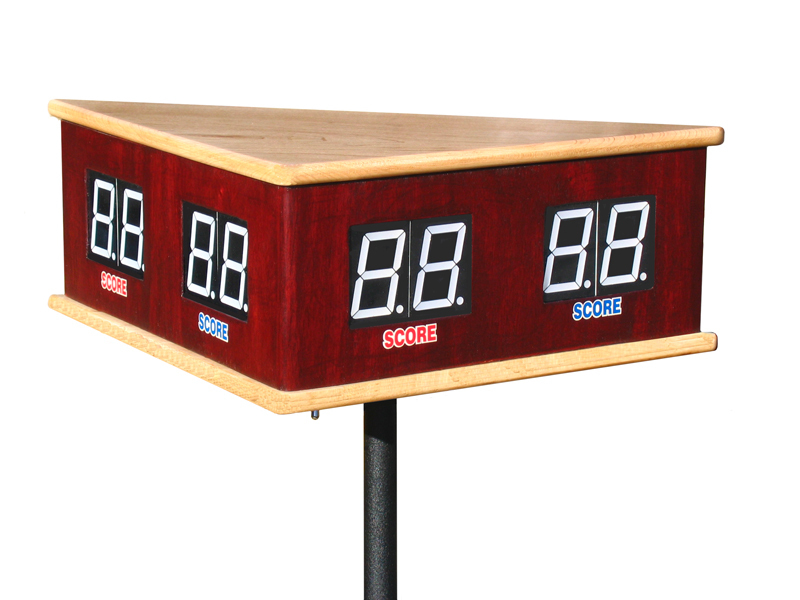 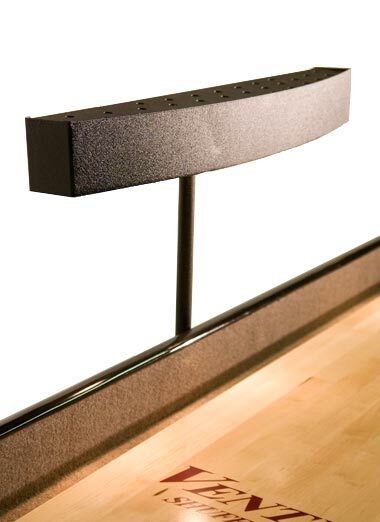 Since its release, the Grand Deluxe has been emulated by other shuffleboard manufactures, making it the clear standard. 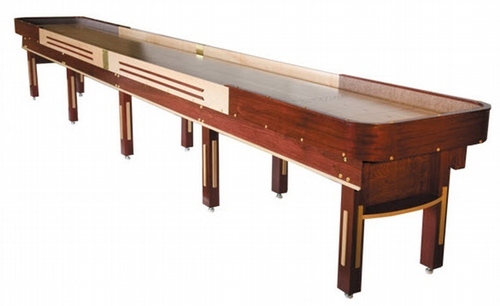 The Grand Deluxe features a 3" thick playing surface coated in Venture's exclusive hard clear synthetic lacquer. 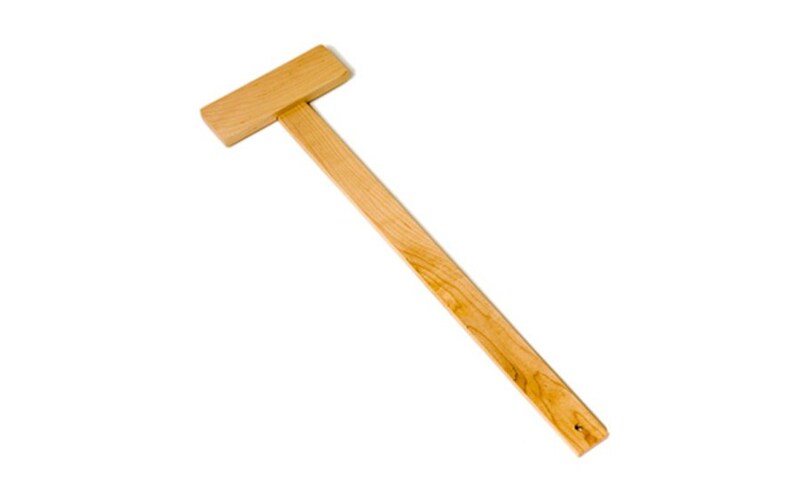 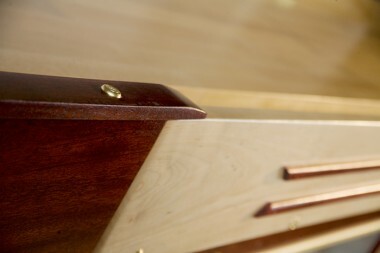 A 6 step finishing process, table gutters tongued and grooved directly into the frame, and cabinet constructed of solid woods and real wood veneers give you maximum durability and unmatched design. 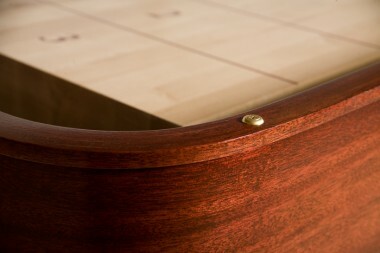 Pick from 3 standard stains: Stelter Mahogany, Chestnut and Dark Walnut or add an extra level of elegance with a custom stain. 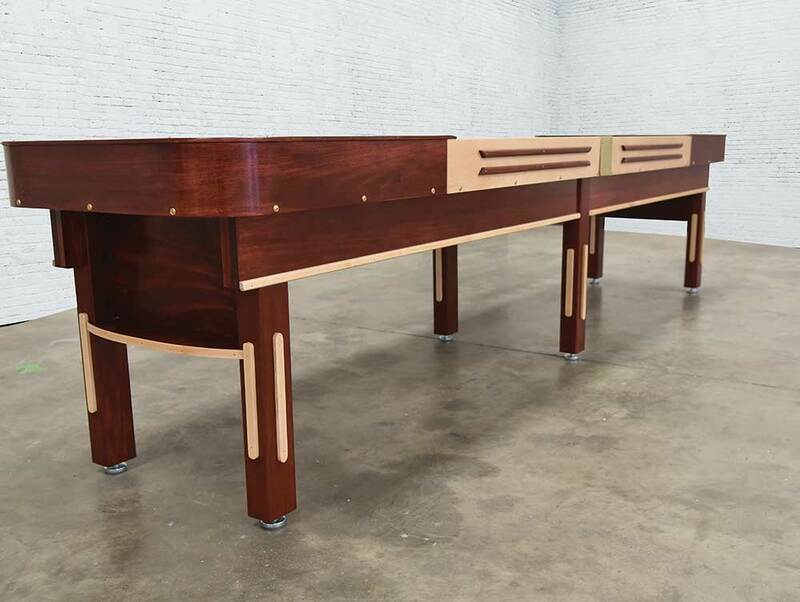 Compliment your game room with a bit of refined charm and order the Grand Deluxe today!